Drinking a six-pack appears to no longer be harmful for your six-packs as a new bear, high in protein and low in calories, is about to hit the market. 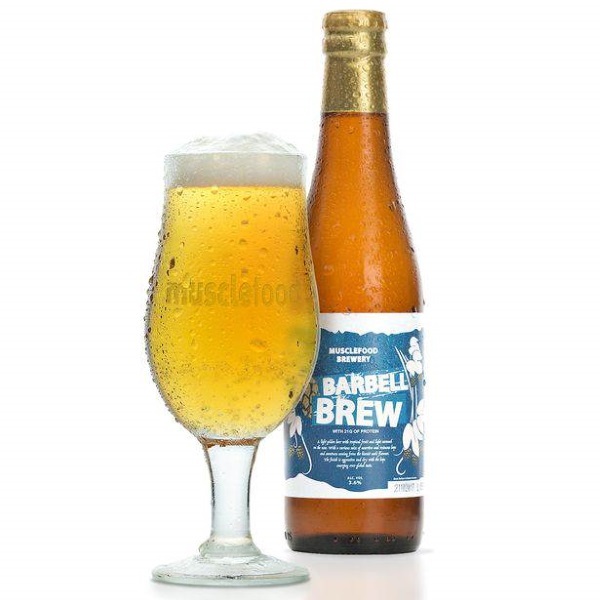 This beverage, branded as Barbell Brew, has been created by the online health retailer MuscleFood, who have spent months in perfecting their innovative gluten-free beer. The result is this groundbreaking drink that packs 21.8 grams of protein, which is more or less equal to the amount you can get from a sirloin steak, but with just 92.4 calories. Its ABV is also not very high – mere 3.6% – so it’s not something that will make you go ape, but the creators are positive that it can pass the taste test. Spokesperson for MuscleFood, Darren Beale said: “Living a healthy lifestyle can be difficult, especially when you enjoy a drink with friends. But now our high-protein alternative means anyone can enjoy a beer without the guilt“. He also added that the beers have been rigorously tested, and that Barbell Brew ‘tastes similar’ to popular craft beers. At the same time it allows you to reduce your carb intake by 85% and calorie intake by 33%. Research shows that the protruding beer belly in beer drinkers is not necessarily caused by consuming the beverage itself, but by the calories that it packs. However, although any calories generally increase the stomach fat, those found in alcohol seem to especially affect the layer of fat around the waist. Yet, it seems that this problem has finally been resolved. Cheers!